This week, I'm focusing on dishes ideal for holiday entertaining. Up first are these delicious crostini that are sure to be a crowd pleaser. 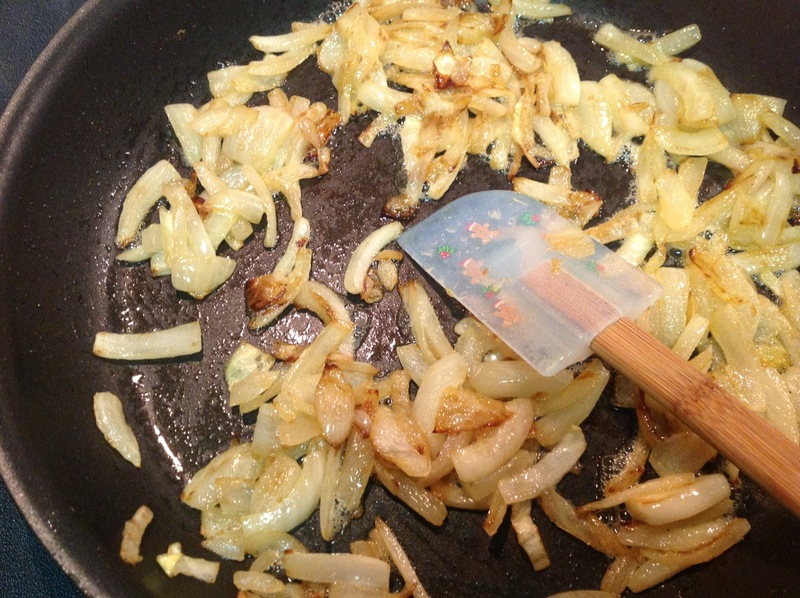 Caramelized onions are different from sautéed onions in that they are cooked at a lower temperature for much longer, developing a golden brown color, rather than the darker brown edges sautéed onions have. 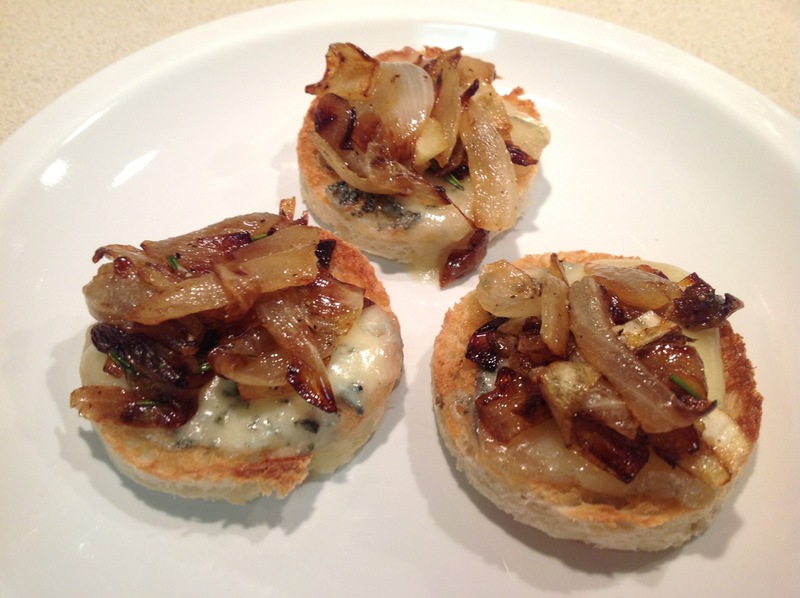 To add some more dimension, I used Rogue Creamery’s Smokey Blue Cheese and added some fresh rosemary to the onions. This is best served shortly after it’s made. I don’t think it would keep well in the refrigerator. Multiply as needed for your guests. 1. Preheat oven broiler with rack in middle-top position (about 7 inches from broiler). Using a round cookie or biscuit cutter about 2 ½ inches in diameter, cut two bread rounds from each slice of bread (save the scraps for something else or eat them as a snack while). 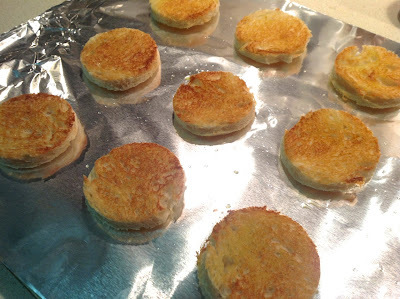 Arrange bread rounds on a baking sheet. Brush the tops with 1 tbsp. olive oil and broil about 2-3 minutes until browned. Remove from oven and set aside. 2. Heat a large frying pan over medium heat. Add remaining tablespoon of olive oil and butter. When butter has melted, add onions. Cook, stirring frequently until the onions have softened and turned light brown, about 30 minutes. Reduce heat if needed to prevent over browning. Stir in the rosemary and season with salt and pepper to taste. 3. Just before serving, top each toast round with a thin slice of blue cheese. Broil about a minute to melt the cheese. Top each toast round with a tablespoon of caramelized onion. You can never go wrong with carmelized onion, as these tasty little treats demonstrate.